The Noden Adjust-A-Bench has been featured in many publications. Below are a few of them. All links will open in a new window. 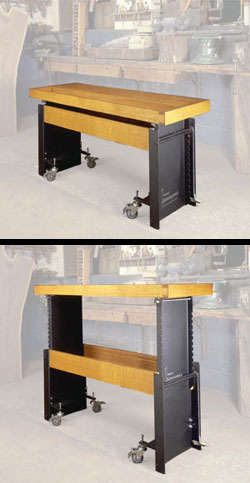 Occasionally, The Adjust-A-Bench is discussed in online woodworking forums by our customers. The following links are to unsolicited comments and photos of the Adjust-A-Bench.